About 2 months back, I posted up a nuffnang ad on my blog, and with reasons explaining why I felt the need to advertise. The guys from Nuffnang were pretty stand-up characters and I felt like I could trust them, so I begin to post Nuffnang ads and monitor that over time. Unfortunately the results haven’t been so good, and after some reflection I decided not to port over the nuffnang ads when I migrated the blog over to a new hosting provider. 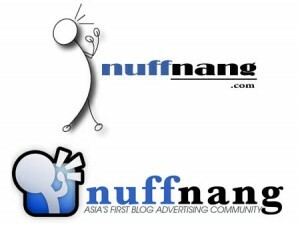 It’s important to recognize that your experience with Nuffnang could be different, and I have no doubt that they do contribute significantly to some bloggers, but for me the relationship just wasn’t going anywhere and I wasn’t really getting any value out of the ads. So when I migrated my blog from Nearlyfreespeech to WPWebHost I decided not to port over the Nuffnang advertising widget–and here’s why? Of course, I’m not a prominent blogger, and I don’t get that many hits, However, I felt my traffic was worth far more than the Rm2.75 that Nuffnang gave me. I only qualified for the Cost-Per-Click campaign, rather than the Cost-Per-Unique-View campaign, and the total payout for the Cost-Per-Click campaign was pretty bad. Just to give you an idea, from Aug-20 till Sep-16, I had 7778 Unique views and 9783 Total Views. That’s not much of course, but in that same duration I received Rm0.75 in payment. Yeap, 75 cents!! Working linearly, if I got 700,000 views a month I would get just RM75 per month from the Cost-Per-Click campaign. If you get that sort of traffic, you’re probably spending more than Rm75/month on hosting charges. So obviously the money is to be made in the Cost-Per-Unique-View campaign or the Sponsored Post, unfortunately in the two months I was with Nuffnang I received neither :(, hence I was only Rm2.75 richer. That didn’t even cover my trip to KL to meet up with the guys from Nuffnang…haha! So by far the largest contributor to my blog is Maxis–I wonder how they feel about that. I’m not exactly Maxis biggest fan, and I have given them a lot of stig for it, but they’re contributed Rm1.25 to me. I was thinking of doing a little victory dance over a Maxis Logo, until I realized that my monthly Maxis Bill is well over 100 times that amount. I must also point out, that while I complain about Maxis a lot, I was recently enlightened at how good they’re data coverage and I must say they’ve got their core telecom offering –spot-on perfect. Following up is the Samsung Galaxy S3 promo, which is good, cause I’m a huge S3 fan, so it’s good that I’m supporting brands I’m happy with. It’s worth to point out that these aren’t personally choices, but assigned by the nuffnang automatically. Finally rounding it up is Unilever and Choclairs, I’m not sure what they’re doing advertising on a Tech blog, but if you’re from Unilever or Cadbury–thanks for the 25 cents!! I probably couldn’t buy a piece of Cadbury chocolate with that amount–but it’s the thought that counts. Google Analytics let’s you store data nearly forever, Nuffnang drops the data at the end of the month. Google let’s you view the location (up to the town) and browsers versions of your visitors, it let’s you look at page speeds, and avg. time on pages. Google let’s you look at the keywords that drive traffic to your site and even an SEO report to look at impressions and CTRs on Google. Nuffnang have none of these or execute them quite badly. I guess Nuffnang is a blogging platform and advertising space, not an Analytics offering, so they track only what they’re interested in–but Nuffnang or not, you definitely need Google Analytics, and don’t even bother with Nuffnangs, it’s not going to give you any real analytics. Google on the other hand, run AdSense and Analytics on two separate pieces of code. That allows users to block the Google Ads while still submitting data to Google Analytics. I’m guessing some of this of course, but I did notice a significant discrepancy (10%) in the Nuffnang Analytics and the Google Analytics, and I think Ad-Blockers are the reason. You might call it sour grapes or just downright ranting, I was really hoping to taking my blogging to the next level–but alas, somethings were not meant to be. I think the guys at Nuffnang are doing a good job at encouraging the Malaysian blogging community, and they’re adding a lot of value to some bloggers. It’s just that, personally, I never felt connected to the Nuffies, and it just didn’t work out for me. I’m not discouraging you from trying Nuffnang, but I hope I provided a realistic view of what it will be like when you place Nuffnang Ads on your blog. I may use Nuffnang again when my traffic increases to see what happens, or I may switch to Google AdSense. Watch this space, but in the meantime if you’re looking for an honest review of Nuffnang from a tech blogger, well you’ve found one. i tried setting up google adsense for my boardgame blog, but was auto rejected by google’s robot filter. it seems the robot doesn’t trust me because i have too many links at my blog. i create a tag for each game that i write about, and i just have an extremely long list of tags. i couldn’t find a way to get a human google employee to check my blog out. needless to say, this lack of a human touch left me a little cold about google. hope you have better luck! Yeah, Google is all about automated responses and automating everything possible. They always like to think about how things will scale later–and manual checking just doesn’t scale. The Nuffnang ad didn’t survive even two weeks on my blog. Maybe the ad network doesn’t really work well on tech blog like yours and mine. Probably true, the biggest blogs on Nuffnang are the lifestyle blogs, and not the tech blogs. I guess in terms of the general population, more Malaysians read lifestyle blogs than tech blogs :(. Good to see that Mytechquest has some ads as well, how are those ads doing? Why didn’t you put Adsense here? Not doing well with my blog as well, been a year with em. Hey B3ar, are you from kampung toys? You got an awesome blog, sad to see even you can’t get much from Nuffnang. Have you at least got a CPUV campaign? wootz… how do you know i’m from kampung toys? got a CPUV once before, just once. Kampung Toys is a cool blog man, of course I know kampung toys :). Just joined nuffnang a month ago and my blog traffic is way lower than yours. I’m surprised that a blog like yours with 9000+ pageviews was only earning rm2.75 from nuffnang. This is kinda disappointing and makes me worry. Also, now I know why nuffnang analytics is always lower than google analytics. Just visited your blog, you seem to be doing pretty well. Hope you get more than me, and in truth the lifestyle blogs do better on Nuffnang than the tech blogs :). So I wouldn’t be surprised if you do much better than Rm2.75. That being said, please also use Google Analytics to really understand your traffic and visitor profiles more effectively :). Hey thanks for visiting my blog and the compliment! Don’t mind what my blog name means because I don’t know what I was thinking when I created the blog. I just know there’s a virgo because i’m a virgo. haha! I’m still a beginner learning how to use Google analytics but it really gives a lot of useful information. I also read another pinoy blogger who wrote a post about nuffnang (or it might have been from a local forum) that nuffnang advertisers aren’t really big fans of tech blogs so that’s prolly why it didn’t work out so good for your blog. Even in Malaysia most tech blogs don’t earn much, with the exception of the bigger more famous ones with full timers working on them. Sad to hear it’s the same in the Philippines. P.s nice blog by the way, I think the title is pretty nice. Thanks, it still needs a lot of work but I’m enjoying writing posts for it. I agree that Nuffnang is not into tech blogs, they’re more of a fashion thing. I’m also removing Nuffnang ads from my blog. 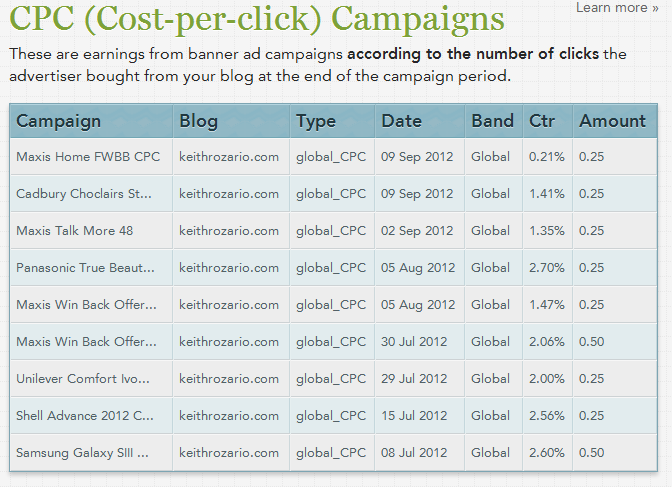 The blog gest so much traffic but so gets so little money from Nuffnang ads. I switched to Adsense instead. More suitable for a tech blog. Thanks man…how much traffic did you get and how much money did nuffnang ads bag you? I am going to use nuffnang but reading your article makes me change my decision. I am looking for adsense alternatives, my bidvertiser does not give me good earning is there any advertising partner that can gives me better ctr? for the most part it’s OK, the money you get is dependant on your advertiser and blog content. So it depends, I know a few people who’ve done quite well with nuffnang, but not with a tech blog. I earned P600 via Nuffnang from September 2012 to December 2012. From January 2013 to present, it has been blank. I’m now bored of seeing it’s logo in the top page. Keith, I was wondering how to fix the problem with my ad sense. I did tried applying but it was rejected. Now I cant even change the blog address when I’m reapplying. What do the people from ad sense expects in your blog and how to sort the issue when there is a change in blog address? So I should Stop my ads in Nuffnang , it seems I heard it all its a negative results . How sad ?.. I also get approved from Google Adsense , But sad to say in second review I fail.site does not follow policy.. How to resolve that ? No conclusion ? I heard a lot stories about how google seems to reject websites for ad sense. Not sure how to resolve it though. i hve a friend and she’s been a member in nuffnang for 1 month and a week.. after that she received 1200 php how is it possible? why is it that others do not receive theirs? hi, I am just a month active in blogger with nuffnang add. It is so dispointer me if nuffnang only pay me RM1.00 CPR not for my 600 unique visitor and 1200 view. I am student, I hope if I can really earn more RM100 per month! I really need money. When read up your post and comment, its make me down because I waste mytime on nuffnang.:( . I already sent the ticket to nuffnang about this 3days ago but they are not reply me yet..
Just because you hope to earn Rm100/month doesn’t mean you WILL. The reality is that while I’m disappointed about Nuffnang, I don’t think it’s their responsibility to pay more money than I deserve. What ticket did you send to nuffnang and what did you ask them about? I try hard not to discourage people, but you need to set some realistic expectations when it comes to this. You currently have 19 unique hits a day, meaning that over the course of a month, you get around 600 unique viewers. That’s not a small amount, but it’s not big either. You claim you want to earn at least Rm100/day, which means each viewer on your blog should earn you about 15 cents, I hate to disappoint, but nobody gets 15 cents per viewer. Please try to patient, and grow your blog rather than aim to make money. At the end of the day, a blog should be a place for you to enjoy and write about things you’re truly passionate about–not a place where you try to earn a lot of money. Nobody will pay you the kind of money you want, based on the 19 unique viewers you have per day. So grow your traffic, then start thinking about how to monetize it. When i started this blog, I first tried to get just 1000 hits a month, and that took me two months, so hang in there and just keep having fun. This information is most fruitful. After being fully rejected by Google I have been seeking alternatives to advertising solutions. Quite recently I put up Nuffnang for my sports fishing site and i have been puzzled by their methods. Quite simply i received feedback from few of my readers that they have been “helping” me in a certain way online. The site says that they will register payment immediately but its still Zero. Could it be that the amount be very little? Really nice website you got there. Yeah, the amount could be really small, in most cases I think your website is a bit too niche for nuffnang, my theory is that nuffnang works well for the mainstream blogs about food, fashion, lifestyle..etc. Niche blogs about technology and fishing, struggle to make an impact. HI Keith, Quite contrary it is a very big hobby in Malaysia. However you could be right on the part about NUff Nang. Any ideas on any ad provider that can yield better income? Sorry Bard, some people have had success with Google adsense, but unless you have a really popular website, you’ll struggle to get any decent ad revenue. somehow, I do agree with you from my blog http://senangtravel.blogspot.com . I drop nuffnang ads in my blog because I don’t think I earn anything and, to put nuffnang ads its just not a win-win situation. They definitely get more advantage by free advertisement in blogs. Maybe in the future i’ll try it again. I agree. Nuffnang pays peanuts and it is nowhere near to the performance of adsense. I run a Malay tourism site and despite getting near 100,000 visitors a month, my monthly earning is similar to yours. To bloggers new to ad monetization, ignore Nuffnang. It is far more easier and profitable to sell your worn out boots in mudah.my than generating 3 ringgit a month with Nuffnang. Yes, I am dead serious. Pingback: Betcha can’t guess how much Malaysia spends on Internetz ads | CILISOS - Current Issues Tambah Pedas! lol, nuffnang pay me rm10 per month nia~ LOL!!! well I’m new to nuffnang and feel down to see this post ..
just want to ask can I earn the money faster if I add more than one blogs ? If you’re thinking of starting multiple blogs just to earn money, my advice is to stop. VERY few blogs actually generate sustainable income, and the few that do shouldn’t be used as a benchmark for the rest. The blogs that do make money, are usually very focused in delivering a specific type of news–starting multiple blogs isn’t going to help in the long run as you’ll be stretching your resources too thin to produce quality content. Actually i’m new to this blogger world .. I saw everyone put nuffnang ads at their sides of their blogs so i become interested in it ( So i clicked it.. tadaaa ) … I just registered nuffnang 2 days ago n then i saw someone shared about this article .. I don’t do ads, because I don’t want my visitors to be tracked. I do use google analytics though, because I’d like to understand my traffic, but I stopped everything else to give my readers some privacy. Plus I wasn’t making much on the ads anyway. Just read your blog today. I definetely agreed. Nuffnang doesn’t pay well as adsense. I’m so lucky coz my blog so new and not even reach 6 months but adsense approved it. Good post Keith, I am glad I came across your review on Nuffnang. As a newbie, an honest review luke yours is much needed. I always thought we need to be an ex model to get a blog VIP promotion haha. the best so far is innity..but for the new blog..they need to work harder to get this innity..
Adnow is a great alternative to Nuffnang! Check it here: http://adnow.com/?referral=170205 I use it on 3 websites now.